The idea of a doctor channelling his inner seamstress, inserting a needle into your face, may faze even the toughest among us. But for those in the know, face threadlift in Singapore have been a procedure commonly performed for a subtle, non-surgical lift. Banishing crow’s feet and reducing lines on the neck. However, not all threads are made the same. The Korean threads of yore are crafted with barbs — and yes, it’s pretty much as painful as it sounds. 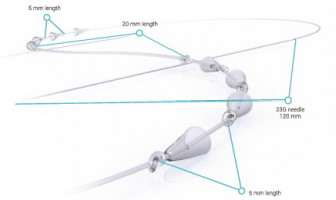 Because of the structure of these barbed threads, many patients experience bruising and swelling after the procedure. At the Centre for Cosmetic Aesthetics, Dr Liu Han Ping performs the procedure using Silhouette Soft, a state-of-the-art “suspension suture” that comprises soft, smooth cones that anchor the areas of concern upwards. 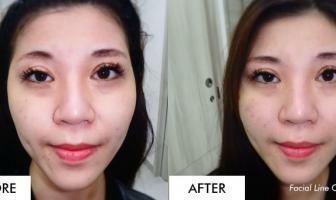 Silhouette Soft is an extremely popular choice of face threadlift in Singapore. 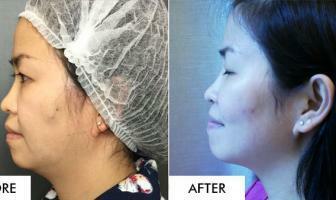 The insertion of Silhouette Soft threads causes a minimal inflammatory reaction, and there might still be minor pain, swelling and bruising — but the discomfort is considerably more minimal compared to that of traditional Korean threadlifts. In fact, there is almost no down-time — which is music to the ears of busy urbanites who can’t afford days off work. The best part? The retightening effect of Silhouette Soft is immediate, especially compared to other face threadlift options in Singapore. After all, who doesn’t like instant gratification? The cones are distributed in two directions to ensure that your skin is kept lifted and elevated for an extended period of time – for up to over a year — depending on your skin condition. Its effects last for about the same duration as that of Korean threadlifts. That’s not all, the Silhouette Soft threads and cones are made of materials that will gradually dissolve — just like sutures used in surgery. As this happens, the sutures generate collagen which will contribute to an even fuller, more youthful appearance over time. At Centre for Cosmetic Aesthetics, they tailor a full treatment regimen to maximise the results of your Silhouette Soft procedure. For example, you may tap on the deep rejuvenative benefits of Rejuran Healer to hasten the healing process and maximise the lifting effects of your Silhouette Soft threadlift.